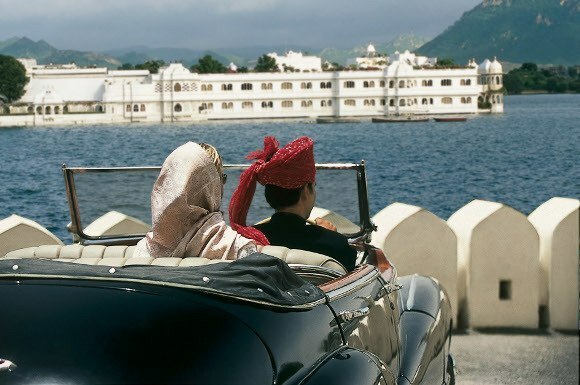 Private travel to India lures with its diversity – modern metropoles retaining rich heritage. Colours, sounds and a myriad of stunning landscapes. Evocative impressions of colonial splendour. When thinking of India, many of us may have romantic notions of sipping a cool gin and tonic amidst lush tropical gardens, sat beneath a lacy parasol, just as one did in Victorian times, frittering the day away by doing not much at all whilst watching the world go by. Luckily, many of the architectural gems previously housing palaces and private mansions are now beautifully restored to their former glory, converted to plush hotels and guest houses. Whether you are planning a self-treat, romantic getaway ‘a deux’ or clandestine meeting (not that we are suggesting…), we have shortlisted our favourite destinations across India exuding that old world, nostalgic atmosphere we so adore. Put these on your list for private travel to India and you will not be disappointed! 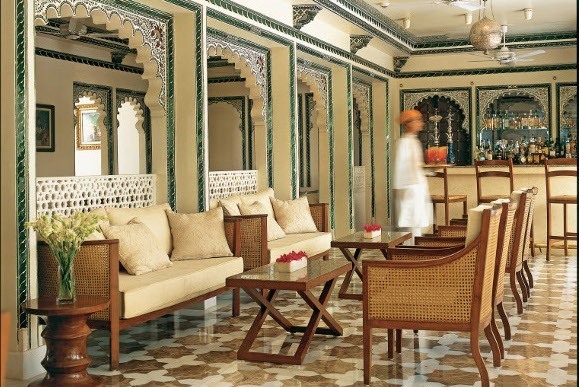 Following years of decay, the former royal residence , Lake Palace in Udaipur, was restored by Taj Hotels in the early 1970’s, earning it both the ‘most romantic hotel’ accolade in India and the world. It’s not difficult to see why – set amidst an awe inspiring fairytale surrounding in the middle of Lake Pichola, its approach by boat alone transports you to a different universe. 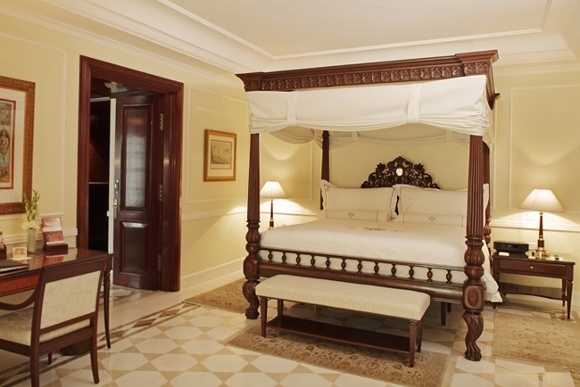 Sumptuous rooms are filled with exquisite antiques, feature ornate cornicing and plushness all around with ‘royal butlers’ – descendants of the original palace retainers – in chic uniform attending to any of your needs. Not only home to royalty for centuries, its regal ambience attracted the likes of Lord Curzon, Vivien Leigh, Queen Elizabeth, the Shah of Iran, the King of Nepal and style icon Jackie Kennedy. What appears understated externally, exuding minimal chic with its clean and linear art deco lines, unleashes an explosion of Victorian and colonial splendour internally. 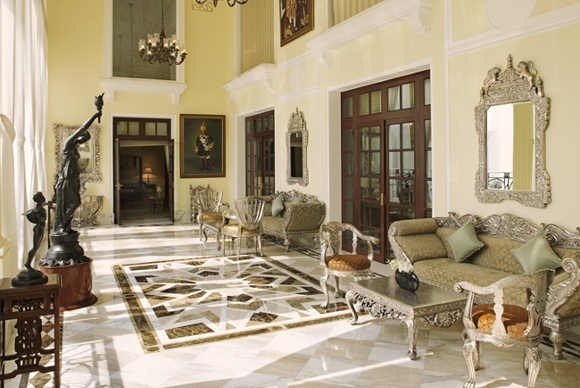 Baroque-esque furnishings with a smattering of Indian antiques result in a glamorous, opulent ambience we all have come to love and expect from this Delhi stalwart of sophistication. Built in 1931 by Blomfield, an associate of Sir Edwin Lutyens, The Imperial Hotel was inaugurated by Lord Willingdon in 1936 and makes a great vantage point for exploring Lutyens’ Delhi and its architectural delights which are in the surrounding areas. A stroll through the diplomatic enclave with its grand houses will give a glimpse back to colonial times and how highly ranking officials used to live. 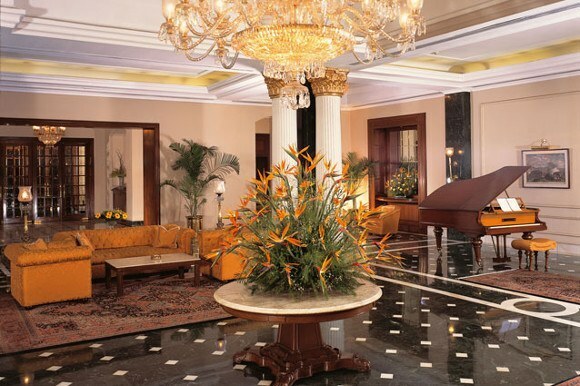 Affectionately named the Grande Dame of Calcutta, The Oberoi Grand Hotel in Kolkata exudes grandeur and colonial chic with its pillared entrance, neo-classical facade and Palladian influences. Built over 125 years ago as separate buildings, the then owner combined a succession of houses to create the hotel. The stuccoed frontage, ornate balconies and canopied verandahs certainly are reminiscent of the salubrious streets of Kensington or Westminster and it soon became a hot spot for the British stationed in Calcutta with the hotel’s New Year’s parties becoming legendary for their decadence. 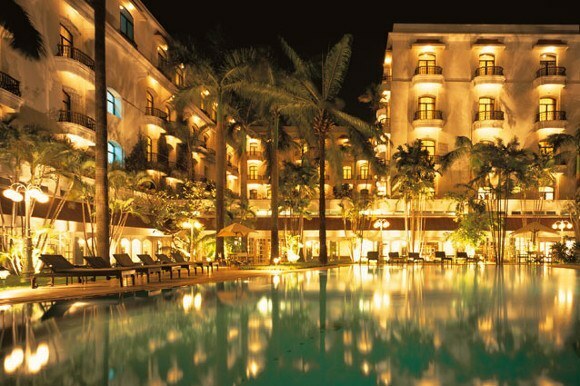 Nighttime with the building lit up, its vision mirrored in the pool, is the perfect backdrop for an evening cocktail, imagining eras gone by. 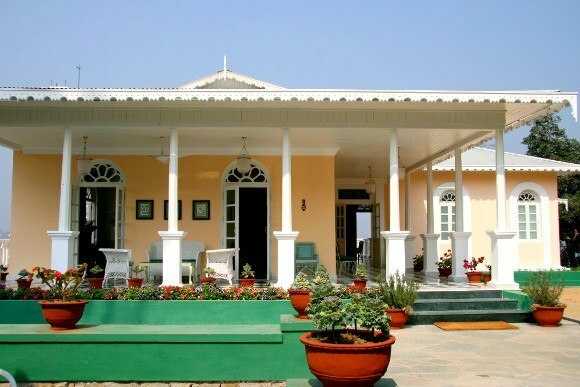 A gorgeous retreat high up in the Himalayas, Glenburn Tea Estate was established by a Scottish tea company in 1859 but meanwhile changed hands and is run by the third and fourth generation of the charming and welcoming Prakash family. Set amidst rolling hills or tea plantations in Darjeeling along the banks of the River Rungeet, views of surrounding valleys and the Kanchenjunga mountain range are second to none. Spread across two quaint Victorian bungalows with verandahs, accommodation is lovingly furnished and decorated in keeping with their colonial heritage. Cup of darjeeling, anyone? 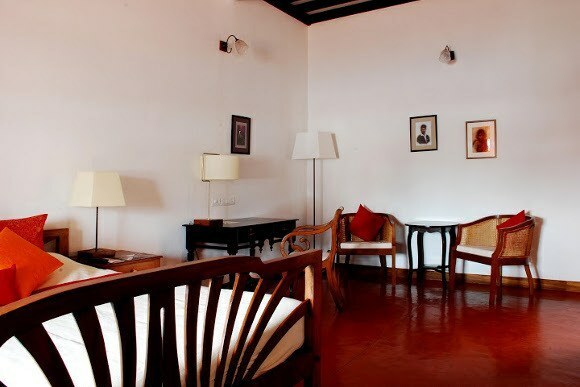 Located in the Tamil quarter of what has to be one of the prettiest French colonial towns outside France – Pondicherry – you will find Maison Perumal, a little gem that envelopes you in its cozy atmosphere the moment you step through its doors. Previously a family mansion, the building’s fusion of architectural styles with verandahs, arched windows and collonaded courtyards exudes colonial heritage. Painstakingly restored by its current owner using local experts reviving old crafts, the building was given a new lease of life. Clever use of stained glass projects charming patterns on white washed walls on pillared walkways, whilst Cuduppah stone creates a sense of drama. The result? C’est tres, tres chic! An oasis of calm with rustic yet elegant interiors you will find difficult to leave. For a journey back in time visit Chettinad in South India, famous for its cuisine and palatial mansions dating back as far as the 18th century. Visalam was built by a wealthy merchant for his beloved daughter Visalakshi which was highly unusual at the time, as women would see their husband’s home as their own. 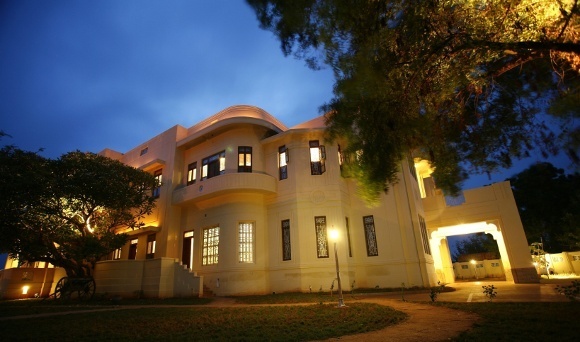 Lovingly restored by its current owner, the sizeable mansion retains its many stunning art deco features. A communal pool invites for some quiet time or a refreshing dip, whilst staff will be delighted if you get your creative juices flowing and join for a round of ‘rangoli’, the traditional art of sprinkling rice powder and colours on the floor to create pretty patterns on the ground. Imagine yourself in a Grimm brothers fairy tale and you’ve pretty much arrived at The Oberoi Wildflower Hall. 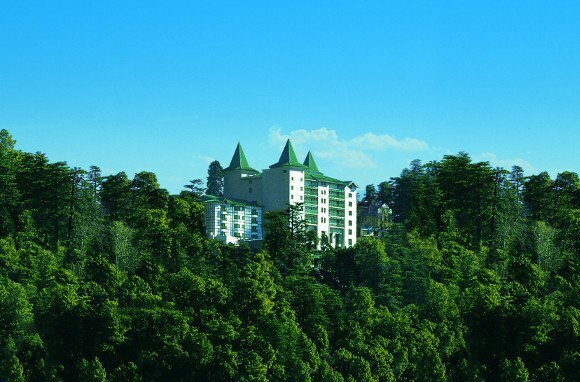 Set high atop in Shimla – one of the main capitals of the British empire – in what could be a magical forest sits The Oberoi Wildflower Hall, a majestic castle like structure with turrets and magnificent vistas. Rooms are sumptuous, British influences evident throughout with rich fabrics and textures, creating a cozy atmosphere, perhaps attributed to this being the former residence of Lord Kitchener. 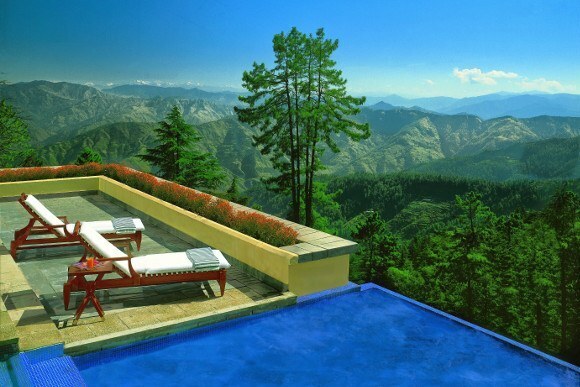 The pièce de résistance has be the outdoor jacuzzi, featuring what may be the best views of the Himalayas one can admire lying poolside. Inspired to explore India and its rich heritage? Please don’t hesitate to contact us to discuss private travel to India.